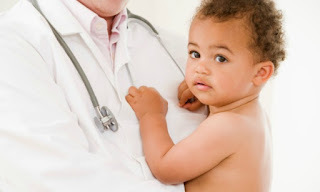 New York (hla) - AN infant has been cured of an HIV infection, reported the New York Times. According to the report, doctors from Mississippi said that the infant had been tested positive for HIV on five separate occasions but now, at age two and a half, the child shows no signs of the virus in its body. This is the first time that an infant has been cured of an HIV infection after being treated with antiretroviral drugs shortly after its birth (around 30 hours). Apparently, such aggressive treatment is effective in crippling the virus before it can affect the baby's immune system. Though the case was contested that the baby was probably not even HIV positive in the first place, associate professor at the Johns Hopkins Children's Center Dr. Deborah Persaud was certain that the child was infected: "It's proof of principle that we can cure HIV infection if we replicate this case." The New York Times also reported that more studies are already being planned to observe if similarly aggressive treatment can also prove effective in other HIV-positive infants. If further study confirms the potential of such treatment, there is definitely hope for newborns of HIV-infected mothers all around the world. Recent figures show that there are currently more than 3 million HIV-infected children. finally there may be hope for these innocent kids. i hope it really is a cure. otherwise, more innocent children will die out of something they have not done.